8. Any questions please contact us without hesitating. English Test Vocabulary is online resources to prepare main English tests: IELTS, TOEFL, SAT, ACT, TOEIC, PTE, GRE, MELAB, and ECPE. This website, www.examword.com, focuses on vocabulary building, the hardest job in test preparation. English consists of words, either you want to pass future test or try to shoot high score, it definitely relies on your vocabulary skill. Probably you noticed that few tutors or schools offer vocabulary building courses comparing with lots of reading or writing lessons for test preparations. Why? Because this most changeable job is mainly your own task rather than teachers'. Tutors may talk about generic rules or tricks in classrooms, but You have to work hard to get word one by one. We create the website to help test takers who are struggling to build vocabulary. No matter where you are, join us online and start your journey of vocabulary building now. For IELTS, TOEFL, SAT, ACT, TOEIC, PTE, GRE, MELAB, and ECPE tests, contents and services we offer in web site aren't exactly same. In general, the contents are organized by 3 categories. Web apps: It includes web applications, like dynamic vocabulary test, fast vocabulary building in 10 days or 30 days, leisure reading, and hot words in news. The apps are designed to build your test vocabulary efficiently based on personalized scenario. 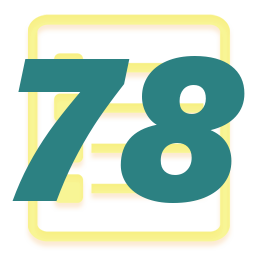 Vocabulary Lists: This is a hub of test vocabulary lists. Because students have various requirements on word list, we collect lots of vocabulary lists for English exam preparation. News, Materials, and Experience: This section isn't limited in vocabulary building. We present news, materials, and experiences of tests or test takers to help students work more efficiently. Web apps are core of English Test Vocabulary, which are designed to build vocabulary online. These apps are powered by proven word bank of www.examword.com, and implemented with cutting-edge technology. They cover key requirements of vocabulary building and support flexible and personalized scenario. It produces dynamic and handy online vocabulary quizzes for each test to help students evaluate own levels. Some apps focus on specific exam in straight way, like IELTS or SAT, meanwhile we also offer a generic test app to load vocabularies of various tests and different level. We developed different vocabulary builders based on web technology to meet with separate circumstances of exam requirements and student levels. And we specially recommend VSO (Vocabulary Study Online) that has built-in advanced artificial intelligence and supports lots of vocabulary objects. It's a flexible and efficient tool to prepare test vocabulary. These web apps enrich your vocabulary by reading classic books, studying hot words and phrases from popular media. 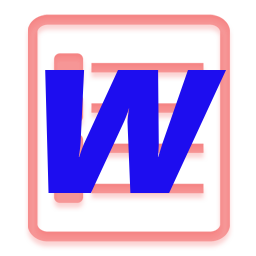 Students have various requirements on word lists. For different tests, such as IELTS, TOEFL, SAT, ACT, TOEIC, PTE, GRE, MELAB, or ECPE, for different goals, such as passed score for admission or high score for scholarship, students usually have to work on separate vocabulary lists. A right vocabulary list will save time and improve vocabulary dramatically. We suggest that test takers should work with tutor to choose work list based on time frame, level, and goal. A good word list means half success in vocabulary building. So, choose vocabulary list is crucial in test preparation. To make such an important job easy and reliable, we collect multiple word lists as candidates for each exam. These lists are made for different purposes and levels. Hopefully, you can get some that match with own situation. We also welcome anyone contributes vocabulary list to the site. If it meets with criteria, we will publish it to help more students. The website focuses on vocabulary building, but we know preparing vocabulary is just one job of tons of tasks before test day. There are diverse areas that test takers are interested to know or enhance, so we develop a relatively independent section for each examine: Tips and Experiences. By the section we publish materials or articles regrading to building vocabulary, as well as writing, grammar, test news, test questions, etc. Hopefully you can get some useful information from here. If you want to share experience, please send it to us. We may publish here if it is qualified with criteria. Most of examword.com contents are free online resource. You can access them without sign on, so account isn't necessary for common visitor. However, if you want to run some web apps, you need an account to sign on, because they must identify separate user to keep temporary studying or exercising data, and offer personalized services. An examword.com account is good for all apps of the web site. Please use an effective email address to register. From the top menu's Sign On, you can register account with your email, then you will receive access code in minutes. Sign on by both email and access code, you can quickly confirm if your account has been created. A free examword.com account and all its data will be stored for 12 months, then they will be erased if you don't sign on over 6 months. You can easily upgrade your account to VIP by Paypal, $1 per month. If you don't renew VIP, the account will be reset as common account again, and will be erased after 12 months. 1. If you don't save data at server/cloud side, don't worry about 12/6 months limits. You can re-register with same email anytime. If the old account has been removed, you will get a new access code. 2. If you save some data at server/cloud side, and your studying lasts longer than expectation, you need sign on the account every 6 months. If so, your account won't be erased.